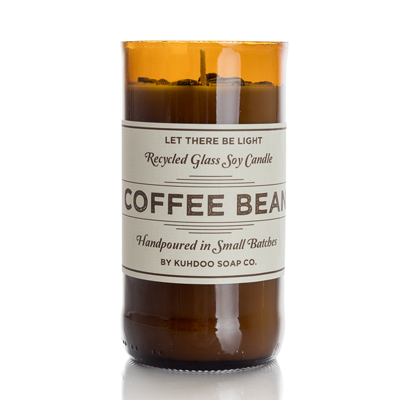 Holiday Cheer Candle - Kuhdoo Soap Co. Happy Holidays from Kuhdoo to you! 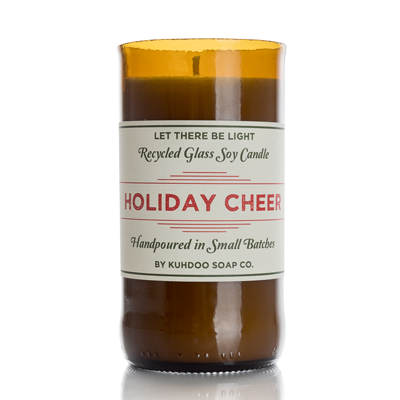 This seasonal holiday candle is crafted to spread the cheer of the wonderful holiday season! Warm up with scents of mulled cider, oak, and cinnamon bark and spread the cheer with those you love! We wish you and yours a cheerful holiday season! 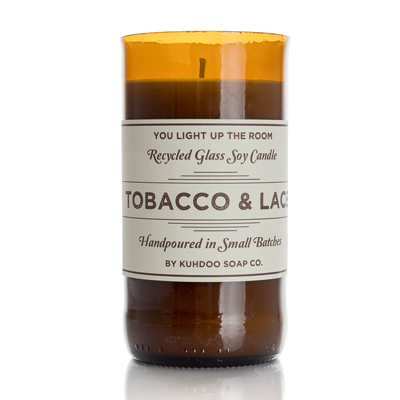 This candle is poured in a hand-cut and polished recycled beer bottle and filled with natural soy wax. 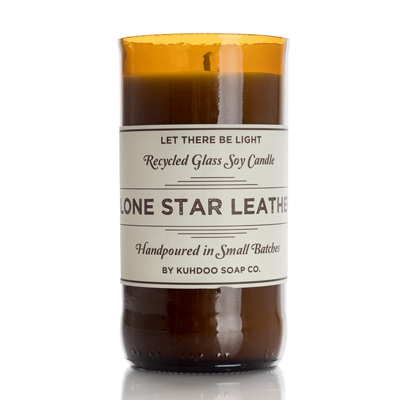 Each candle is truly handcrafted and one of a kind! All wicks are cotton, lead free, and the burn time is approximately 40 hours.